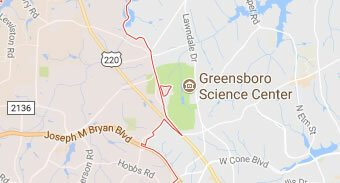 Our office is located at a very convenient location for all customers who would like to travel to all areas in the Piedmont Triad i.e High Point, Greensboro and Winston Salem, as well as Raleigh, Charlotte, Danville, Roanoke or any where else. I highly recommend Prompt Transportation. Fred was right on time to transport me from Winston - Salem to Charlotte airport. A Stress free reservation was set up the day before- Fred is very customer service oriented and professional. Credit cards or Cash accepted. I will use Prompt again next time I need transportation services. We have used Prompt Transportation Services twice now to transport my son to Wake Forest University from the Greensboro airport. When making the latest reservation, I was very surprised after a full year to have "Mr. Fred" remember our previous reservation. You don't see customer service like that any more. Better yet is the actual service. Going back to school after the winter break, my son's flight was canceled, stranding him in Washington, DC. I had to cancel the car pick up reservation with only a couple of hours to spare, which was not a problem. Then my son got a chance to hop on a last minute flight which got in late, so once again, he needed a ride to school. Mr. Fred rolled with the punches, picked my son up and delivered him to school. He even sent me an email to let me know my son had arrived safely. Thanks Mr. Fred! Service like this is invaluable, but I will note that Prompt Transportation Services is very reasonable. Mr. Fred will also let students ride share and split the cost of the town car to the airport. It is an excellent value for the quality of service! My company and I have used Prompt Transportation for a couple years now to run a variety of airport pickups for new International Students multiple times a year, food shuttle runs, trips, and all around transportation. "Mr. Fred" is outstanding and has always been "prompt", courteous, and is very reasonable in pricing. My staff and students love using his services. The cars are clean, well-kept, and comfortable. My company has tried a couple other transportation services in the area on a couple different occasions over the past 2 year period and were let down in comparison. Let me promise, you won't get better than Prompt Transportation and my company won't use any other company in the Greensboro & Triad area when needing transport. I strongly recommend this company! I called Prompt Transportation to arrange a pick up from CLT airport. Mr. Fred was there waiting at the exact time (which was quite early in the morning) and place as arranged. The car was very clean and comfortable. I found Mr. Fred to be both professional and friendly. I will definitely be using Prompt Transportation the next time I travel to NC. Highly recommend! "Mr. Fred" is indeed prompt, personable, and accommodating. He even has a master's degree and speaks several languages. His prices are very reasonable, and the van we traveled in was well-maintained and clean. Be sure to call at least thirty minutes ahead, especially if staying at a remote hotel as I did. That said, Mr. Fred will get you to your destination on time. He assured me that if I missed my flight, he would drive me to Houston himself!